Healthy working - BMA Ergonomics. Office chairs. They seem like such ordinary objects. A seat, a backrest, armrests and a base. But a good office chair is essential for working in a healthy way! You know how important a good office chair is for you and your personnel. After all, their work demands they are seated for long periods, often at a desk, with a desktop computer or laptop. And it’s that protracted sitting that makes their muscles and joints so sensitive to injury. Injury you’re really keen to prevent. Furthermore, every person has a different posture. 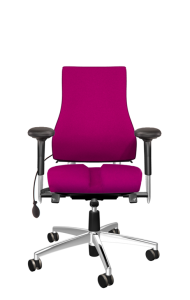 Large or small, heavy or light, with specific requirements for sitting comfortably. And their duties and tasks are also very diverse. 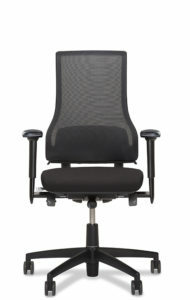 All that requires a chair that is very flexible in adjustment, but is also ergonomically responsible. So just about anybody can sit on it. BMA, the Smart Seating Company is always looking for smart solutions and product improvements. We love to develop special chairs that meet the specific needs of your company, such as VDU chairs, 24-hour chairs and ESD-safe chairs. It’s no accident that BMA works so closely with specialists and universities. 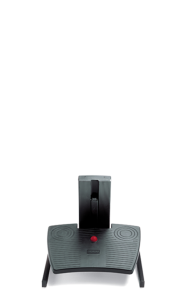 In recent years, this has led to innovative products like the Axia Smart Chair, Axia Smart Cloud and the Axia 2.0 Smart Seating System. 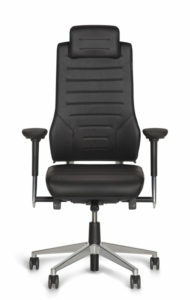 BMA makes not only technically innovative office chairs, but we are also innovative when it comes to styling and design. After all, the image of your company is your biggest business card. And your office furniture is of course a key element of that. Especially your selection of colours and upholstery. But BMA makes it easy for you. 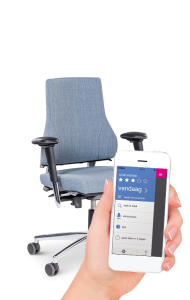 Thanks to our smart click-on-click-off system, you can change the seat and backrest cushions in one simple move. An affordable way to create a contemporary new office look.